A local nonprofit working to empower communities, managers, and scientists to innovate solutions through mountain research, education, and practice. 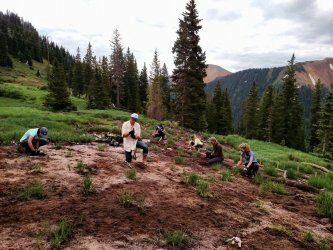 Mountain Studies Institute (MSI) is an independent, not-for-profit mountain research and education center established in 2002 in Silverton, Colorado. MSI develops science that people can use to address environmental issues facing the San Juan Mountains. We conduct and facilitate research, provide educational opportunities and internships, and conduct environmental monitoring. 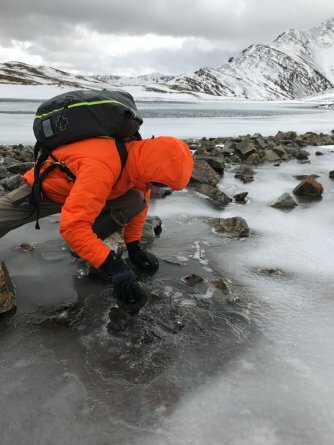 We connect scientists and stakeholders across the San Juan Mountain region to go beyond scientific inquiry to the meaningful application of knowledge that makes a difference for the quality of the environment and our communities. MSI’s research ranges from the alpine meadows and mining legacies our highest peaks, to forest health and water quality in our mountain towns. We strive to do “science people can use” by studying the questions that are most important to our local communities and communicating our findings directly back to the public. We work with city, county, state, and federal governments, as well as countless non-profit and school groups. Your interests matter to us, so don’t hesitate to reach out with scientific questions and concerns. 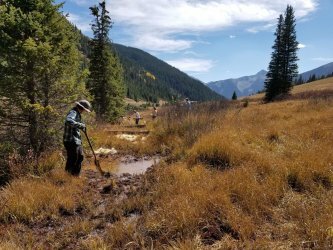 MSI’s activities occur across elevations from the high alpine to the semi-arid foothills, woodlands, and range that make up the San Juan Mountain region. While much of our focus is in the San Juan Mountains themselves, we also work downstream in the rivers that drain those mountains and the related watersheds. MSI also stays connected with other localities with similar environments to share knowledge and learning. Finally, we wish for our work locally to contribute to a growing body of knowledge on global change in mountain systems, and to raise awareness and understanding of the mountain systems and their communities in other regions and countries. MSI works with schools from the mountain towns of Ridgway, Telluride and Silverton, to the lower communities of Durango, Pagosa Springs, and Aztec. We lead immersive summer experiences, day long dives into the life of a scientist, or hour long guest lectures on diverse topics of interest. We strive to supplement school curriculum with hands-on experiences and memorable scientific explorations. Recently, we’ve developed a network to connect school research about forest and watershed health across the San Juan’s so students can learn from each other as well as from us. MSI was first conceptualized in the late 1990’s as “living classroom without walls” in the San Juan Mountains through discussions with over 20 collaborators. Conversations brought together members from the Town of Silverton, San Juan County, Fort Lewis College, San Juan Public Lands Center, and many others to develop the concept of a non-advocacy, mountain center of education and research in Silverton, Colorado. As the effort grew, the group hosted the State of the San Juan’s Conference at Purgatory Resort, proving the need for leadership and desire for mountain research in the region. The Institute developed its mission to enhance understanding and sustainable use of the San Juan Mountains through research and education. MSI was granted legal status as a 501(c)3 nonprofit organization in 2002. Two federal appropriations through the US Forest Service were sponsored by Senator Ben Nighthorse Campbell, which helped the institute get established.